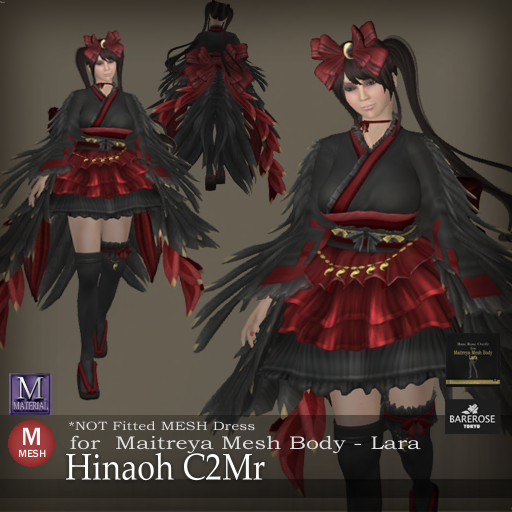 Hinaoh C2 Mr is the mesh version of the Hinaoh C2 variation from Bare Rose and this version that Kitty is trying out today is the one for Maitreya mesh body! 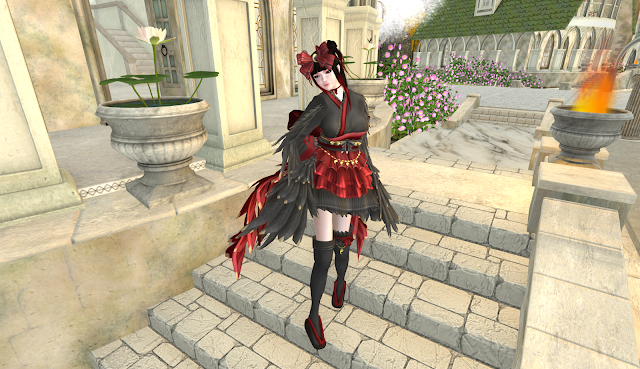 The Hinaoh is a bird like outfit which is fabulous and majestic in the amount of feather like fins on the arm as well as the long dress which has both of Kitty's favorite color on it - Red and Black! As if the cute is not enough, there is a huge ribbon on the back to make sure of that! 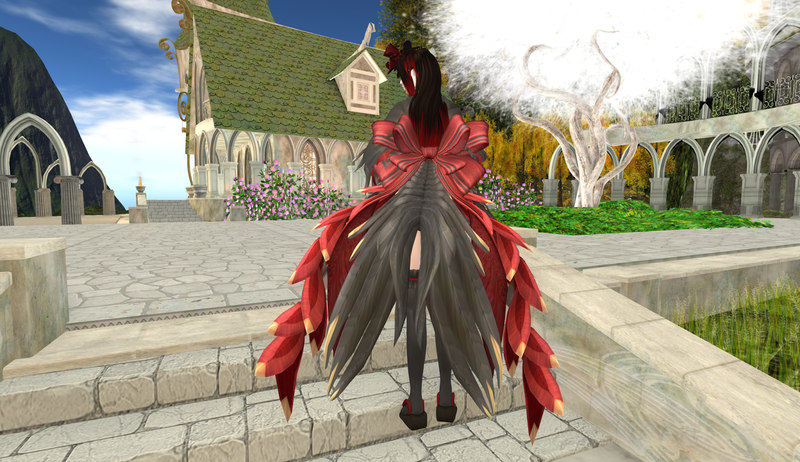 This is the side view of the long sleeves with feather like flaps which make it look like a pair of wings. While this is a fantasy theme outfit, it doesn't look too out of this world though. So it is great even for more down-to-Earth events like tea party. 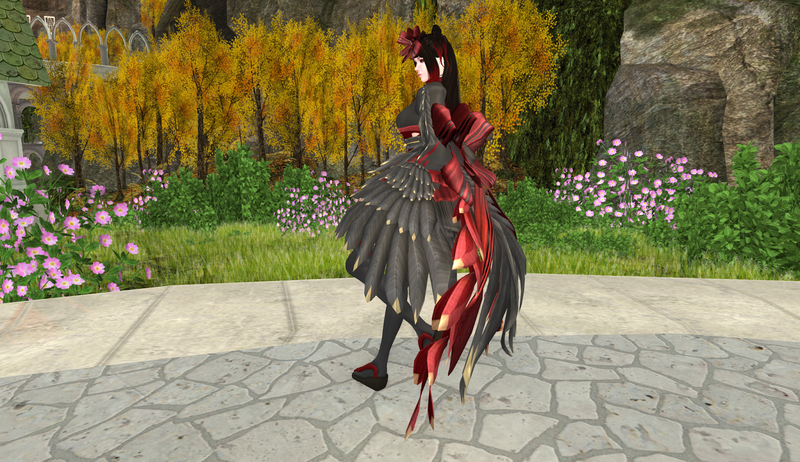 And here is the pretty front view. You will notice that there is a nice red ribbon on the head as a hair band as well. Of course, that is optional depending on your preference. The long sock and comfortable sandals also make this a easy and comfortable outfit to be in.